Home Spine Braces & Support Where Can I Get a Back Brace or Posture Corrector? Studies have shown that engaging in posture strengthening stretches and exercises and using a posture brace are crucial to correcting poor posture. However, where can you buy the best posture brace? Also, who sells the best posture corrector? 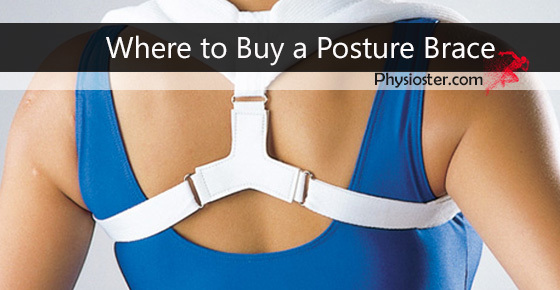 Read on to find out where you can buy these posture corrector aids. Target has about 2,000 stores while Walmart has about 4,500 stores around the United States. If you live in a remote area in western United States, chances are that either of the stores is within a 30-minute drive from your home. For most people, Target and Walmart are the first stores that come to mind when they want to buy anything. These stores are popular for having a wide variety of items at a low price. However, when it comes to posture correctors, buying the aids from these stores may not be the best option. Why Not Buy from Target & Walmart? Target and Walmart stock various support aids for the ankle, knee, lumbar, wrist, elbow and shoulder. You won’t find a single posture support or brace at the stores. However, you can find some support braces at their websites. Some of the support braces are at the stores’ warehouses and can be shipped to your local store (If you usually shop at Walmart, you may have heard of the term “Site to Store”). However, majority of the posture correctors are shipped directly to your home from a dropshipper. A dropshipper is a third party seller that works with a particular retailer, for example, Target or Walmart. When a customer orders a support brace at Target or Walmart websites, the stores forward the order to the dropshipper, who then ships the product to the customer. Going through both Target and Walmart websites, it’s obvious that the later has a wider selection of braces. However, the overall number of braces at both stores’ websites is quite limited compared to the wide variety of braces available in the market. You definitely would expect a wide range of posture braces at large health stores such as Rite Aid, CVS and Walgreens, right? That’s what I expected when I first started looking for posture aids. However, I did not find any support braces at the stores. Sure, there may be a few lower back support aids. However, these may not be the best for correcting poor posture. Like is the case with Target and Walmart, you can order support braces from CVS, Walgreens and Rite Aid websites to be shipped to your home. By now, you may know it’s difficult to find a posture brace that is stored locally. However, you can look at the local medical supply store before giving up. 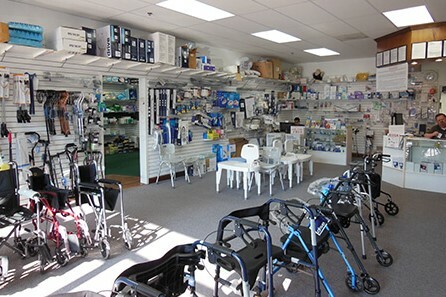 In nearly every large city and in most small towns, there are medical supply stores that carry everything, from power scooters and lightweight folding wheelchairs to accessibility items and diabetes supplies. At these stores, you are likely to find a small selection of posture braces. Depending on the size of the stores, you may find a couple of products in stock. Sometimes, your doctor may prescribe a posture brace that you can purchase at the medical supply store. The store will typically file an insurance claim on your behalf. This means you will only pay a small amount for the brace. In some cases, you will not pay anything at all. If you want to pay cash for a support brace, be careful. Some medical supply stores overcharge for their support braces. This is because they know most patients have insurance and the insurance companies do not mind paying a premium for the support devices. The selection of posture braces available at the stores can be quite limited. If you want to find the best posture support braces in the market, the best option is to search on the Internet. While you may have to wait a couple of days to receive your posture corrector, no other source can beat the variety and prices available at online stores. At online stores like eBay and Amazon, there are many different posture braces sold from $10 all the way to $100 or more. Check this posture brace comparison chart for some of the best posture braces for men and women. The chart also has links to posture corrector reviews. In most cases, you will get the best price if you buy the posture support aids from the manufacturers. When it comes to purchasing posture braces or correctors, you have several options to choose from. If you do not mind waiting about 3 to 5 days to get a posture brace, buying online is the best option. When you buy online, you will not only have the widest selection of braces to choose from, but also great prices. If you need a posture corrector the same day, shop at a local medical supply store. These stores have a limited selection and the prices are usually higher than that of braces sold online. Local drug stores such as CVS and Walgreens and popular stores such as Target and Walmart are the other options you can consider. However, the braces are not available at the physical stores but on their websites. Check the best posture correctors here.